Video interviews, panel discussions, articles and Q&As featuring Google Adwords Keyword Tool. 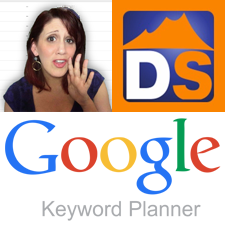 This DomainSherpa tutorial walks you through the new Google Keyword Planner, shows you how to find most of the same information as the Google Adwords Keyword Tool provided, and what the differences are between the two. This tutorial also shows you how to use the Google Keyword Planner tool for SEO and domain name purposes.